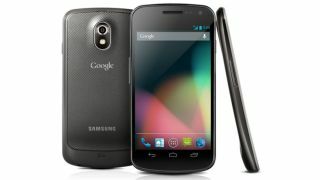 Is this Android 4.3 Jelly Bean running on the Galaxy Nexus? Elo, elo, elo, what do we have here then? Coming soon with Android 4.3? Android 4.3 leaks having been trickling through for the past few months and the latest one apparently reveals the updated OS running on a Samsung Galaxy Nexus. Google is yet to unleash a new version of its Android operating system this year and while Key Lime Pie no longer seems to be next in line after Android 4.2 the search giant failed to announce the much talked about Android 4.3 Jelly Bean last month at its annual IO event. A new report out of Bluetooth SIG now seems to suggest the Android 4.3 update is almost ready to roll out as the Galaxy Nexus has been put through its paces to ensure it still meets the various Bluetooth standards. Although the report doesn't specifically say which version of Android the Galaxy Nexus is running, the folks over at Android Geeks reckon it's being reassessed by Bluetooth SIG purely due to the fact it's about to receive the Android 4.3 upgrade. The Google Nexus 7 has also recently been spotted passing through the same tests, which seems to suggest the search engine is tooling up its homegrown devices ahead of an impending launch. In terms of an Android 4.3 release date it's still not clear, and with rumours suggesting Android 5.0 Key Lime Pie will be with us before the end of the year Google may want to get a shift on - unless, that is, it's decided against 4.3 and these devices are actually running version 5.